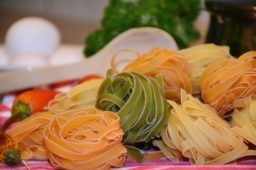 Learn to speak through Italian food and serve up a friendly, informal, hearty feast, Italian Style! From homemade pasta to the classic tiramisu we’ll have you cooking up a storm with your friends asking for the restaurants number. The classes take place in our stunning country kitchen with breathtaking views of Swinton Estate Grounds and Yorkshire Dales. We always encourage a hands on approach within the classes and all ingredients and equipment will be provided.